Here is a sample 14 days itinerary we have planned for our conscious travelers. If there is an activity you would rather replace with some other activity then no problem, we can customize it for you based on your request. Airport transfer to hotel to settle in. Rest for a bit then evening cultural entertainment at the Ndere Cultural Centre. Dinner at the cultural Center. Overnight at the Emin Pasha Hotel (BB). Early breakfast and then at 0700hrs you will drive north west through Mubende to reach Fort portal by the Rwenzori mountains about the early afternoon. You will transfer to your lodge to check in, have lunch and then in the evening, you will go visit the crater lakes region. Dinner and overnight at Ndali Lodge (FB) overlooking a crater lake. Travel time: approximately 5 hours. Early breakfast and then transfer to the park headquarters and be briefed by the experienced guide who is to lead you while tracking. 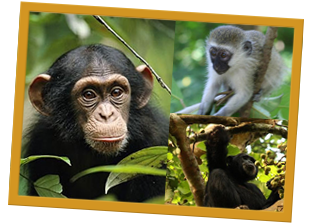 In the park, along the trails, you are going to be tracking Chimpanzees, Black and White Colobus Monkeys, Blue, Black faced Red Colobus, Red Tailed Monkeys, Olive Baboons and an array of bird life, including the Great Blue Turacos. After the tracking, return to the Lodge for relaxation, late lunch, Dinner and overnight at Ndali lodge (FB). After breakfast, transfer to Queen Elizabeth National Park with beautiful views of the Rwenzoris on a clear day, protecting over 200 sq km of Rift Valley Savanna, interspersed with patches of forest and crater lakes. Enjoy a game drive en route and relax for lunch at the Mweya Lodge by the Peninsular and Kazinga Channel. In the afternoon, enjoy a launch trip along the Kazinga Channel as you sail up close to crocodiles, hippos and other wildlife that come for a drink. The bird species include the black bee- eater, 11 types of king fisher, and several species of falcons, eagles and the raptors and many more. Dinner and overnight at Mweya Safari (FB). Travel time: approximately 3 hours. Have an early morning game drive in the Park, to see predators and other wildlife like elephants, lions, Uganda Kobs, spotted hyenas and the leopard plus many others. Return to the Lodge for lunch and relaxation. As the sun sets, you may have another game drive to see predators along the Queens mile or enjoy a swim with views of the Mountains of the Moon (on a clear day), Kazinga Channel and the wilderness. Dinner and overnight at Mweya Safari Lodge (FB). After breakfast, you will be transferred to Bwindi Impenetrable Forest via Queen Elizabeth’s southern Ishasha sector. You have chances of seeing the tree climbing lions famous in this part of the park, the elusive leopards and other wildlife. Dinner and overnight at the Mahogany Springs (FB) overlooking the Gorilla Forest. Travel time: approximately 6 hours. 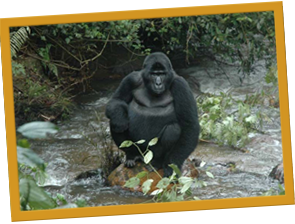 Enter the sanctuary at dawn and enjoy the beauty and freshness of the forest, home of the mountain gorillas. 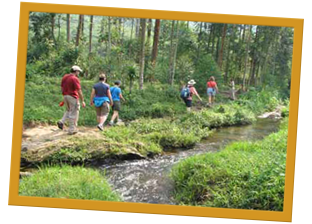 After a short briefing by the experienced guides, proceed through dense bush to track these endangered primates called the great Apes (Gorillas). Other primates also living in the forest including the black-and-white colobus monkey, red tailed monkey, etc. This can be very tiring due to the fact that the ground is steep and densely forested but it really is worth it. A high level of fitness is required. Return to the accommodation for relaxation or have an optional community walk ($25 to be paid directly). Dinner and overnight at Mahogany Springs (FB). Breakfast, then drive to Lake Mburo National Park. This beautiful drive takes approximately 6 hours and allows time for an afternoon game drive in the splendour of Lake Mburo. 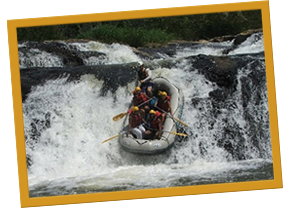 Arrive in time for a boat ride on Lake Mburo. The acacia forests and wetlands are home to an impressive variety of antelope including the giant eland and impala. The lake is rich with a diversity of animal and plant species which will be viewed clearly as you are on the boat trip. Expect to see hippopotami and birds like African Fin foot, Pelicans, Black crake, Heron, cormorant, fish eagle. You may also sight the extremely rare Shoebill Stork and all these will furnish your visit with pride and satisfaction. Dinner and overnight at Mihingo Lodge (FB). Wake up to the rhythm of nature, attend a briefing by a ranger-guide and then embark on a safari walk to a salt-lick area called Rwonyo. Return to the lodge for breakfast, later check-out and take an en-route game drive as you exit L. Mburo N.P. heading back to Kampala. Overnight at Emin Pasha Hotel (BB). After breakfast, start off with the city tour through the city centre, the Uganda Parliament, the National Theatre, Namirembe Cathedral, and Bahai Temple. A tour can be arranged to any other places of interest. Overnight at the Emin Pasha (BB). Breakfast and off for volunteering at the Live it up Uganda, Home for rescued children. Overnight at the Emin Pasha. Breakfast and off for a second day of volunteering for the Live it up Uganda, Home for rescued children. Overnight at the Emin Pasha. Breakfast and off for shopping day in the city of Kampala/Entebbe. Take a shopping break for Lunch (direct account) in town and continue with some more city sighting, then to the Airport. 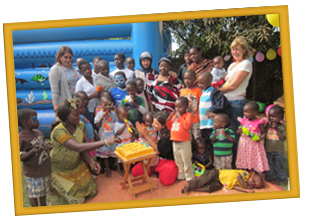 **Volunteering activities include but not limited to: spending the day with the children. Playing, reading, educational and creative activities, home and garden improvement projects, mentoring, offering the children basic knowledge and skill transfer, dancing, singing, applying any specialized skills you may have to enhancing the lives of these children and most importantly giving them all the love and dedication all children deserve. All in all, there will be a combination of hard and soft labor but one thing is for sure, regardless of what you are tasked to do, there will surely be a whole lot of pure love pouring in from the children so be prepared to be forever changed!Volunteering activities include but not limited to: spending the day with the children. Playing, reading, educational and creative activities, home and garden improvement projects, mentoring, offering the children basic knowledge and skill transfer, dancing, singing, applying any specialized skills you may have to enhancing the lives of these children and most importantly giving them all the love and dedication all children deserve. All in all, there will be a combination of hard and soft labor but one thing is for sure, regardless of what you are tasked to do, there will surely be a whole lot of pure love pouring in from the children so be prepared to be forever changed!